The Mod subculture started in the 1960s, it has gone through many revivals and carries on today, the Mods were all about fashion and music, the Mod movement started off on London in the late 50s but its height was during the 60s, Mods were modernist`s they were all about the latest fashion and music, it attracted young working class lads, there style was all about bespoke sharp suits, and sharp dressing, at the weekends mods would meet a cafes and listen to music looking good, band`s like the Small Faces and The Who were influenced by the Mod subculture, Mods were known for fighting with rockers, Mods favourite mode of transport was the scooter they chose Lambrettas and Vespas, there was a couple of reasons why they chose scooters, one was because the engine was encased in two side panels this stopped them getting oil over their fancy cloths, the other was because they were affordable and young lads could get the newly available higher purchase plans, and this is where the iconic Mod parka came in they wore them to protect cloths while riding their scooters, but by the mid 60s the Mod scene became to commercialised, their was company’s setting up Mod clothing collections, this went against what Mods were all about choosing their own style, it became to stylised instead of young people customising their own cloths. Over the last couple of decades the Mod subculture has gone through many revivals, in the 80s the classic film about Mods Quadrophenia was made, in the early 90s bands like Oasis ,Blur, The Verve, were all influenced by the Mod subculture through their music and style, today the Mod subculture has spread to places like Japan even south Korea, Mod clothing brands like Lambretta and Merc still sell Mod style clothing to this day. 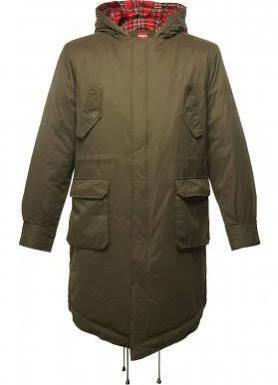 Mod fishtail parka is one of the most iconic items of clothing associated with the Mod subculture, the original parkers were never meant for young stylish Mods, they were made for the US army, so their troops could fight in cold climates, that’s what happened in the Korean war in the 1950s, it was a united nations war so Britain had to take part, but British troops were not equipped for the cold climate so America issued them with the fishtail parka, the name fishtail parka comes from the coat is shaped like a fishtail, this was so the coat could be tied around the legs for added wind proofing, after the war hundreds found their way into army surplus stores, Mods first used them as an ideal garment for fending off the elements and protecting their smart clothing from grease and dirt, but soon they became apart of the Mod look with Mods sewing on badges and the iconic roundel on the back of their parka`s, it’s very hard to find original parka`s now with the fur hood, but company’s like Merc London continue to make this classic as close to the original as possible, but you can’t get a fur hood now because of an outcry by the fur lobby, but you can get a synthetic fur hood. 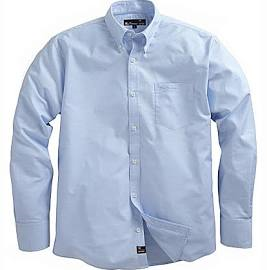 The original Mods were influenced by modern jazz, jazz came from America when jazz players came to the UK they wore fancy sharp shirts made by Brooks Brothers, very soon young modernist were looking for these shirts, because the shirts had to be imported certain importers were able to corner the market so the shirts became very expensive, one Man Ben Sherman saw a market for his own shirts, he quickly designed his own oxford shirts made from the finest cottons, he targeted the young mods soon his shirts were hit, among these were his Gingham and paisley shirts, to this day Ben Sherman continue make the finest casual shirts influenced by the Mod subculture. 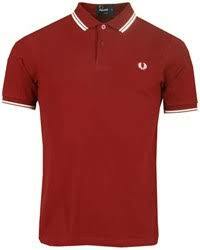 In the late 50s young stylish mods were looking for stylish casual clothing, one of the items they chose was the polo shirts, the brand they chose was the Fred Perry polo, the main reason was Mods loved to dance all night but still look good, the Fred Perry polo shirt came with a collar and placket so it could be worn with a suit, because of its knitted piquaterial and its ability to retain its shape, Mods could dance all night in it then wear it again the next day, very soon suppliers were getting requests from streetwear fans for tipping on the collars and cuffs, Fred Perry loved the idea he gave his permission this design to made, it gained a nick name the Perry, since then Fred Perry has been heavily associated with the Mods and its music scene. 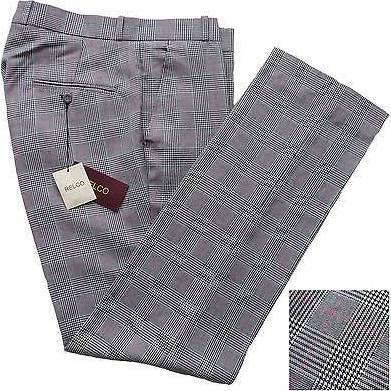 Another classic that mods chose was the Sta Prest Trousers, they were originally invented and produced by Levi Strauss & Co, they were a wrinkle resistant trouser renowned for their sharp style and straight leg, also they came in a flat front, they were a practical trouser that looked good but also after being worn on a scooter for a couple of hours they still looked sharp and classy, Levi`s no longer make the Sta Prest trousers, but company’s like Relco and Warrior make a similar trousers called Sta Press trouser, they are still worn by young stylish men today. 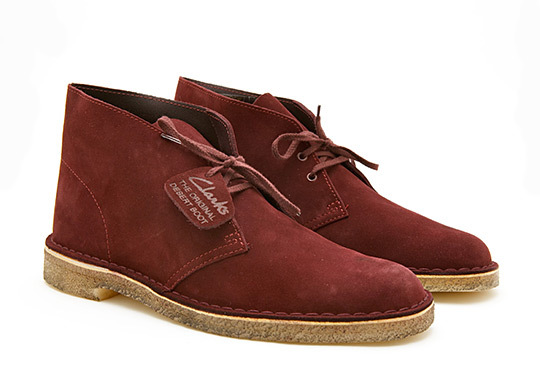 Desert boots were the first casual shoes to be invented for casual wear, they were invented by Nathan Clark of Clarks shoes, he was serving in the second world war in Africa wear soldiers first wore desert boots, he came back to the UK designed his own boot, by the late 50s they became a casual classic, mods loved them for their simple straight lines and design, but one of the main reasons was the crepe sole its naturally gripped the road when riding their scooters, deserts boots have been copied by every fashion label going but the originals are by Clarks only. 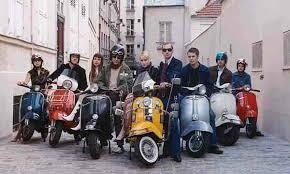 There are many other pieces that Mods are famous for like Harrington Jackets and Ox blood tasselled loafers, the Mod cultures lives on with weekend scooter rally’s, and Mod music by the Jam and Paul Weller, open up your mind add a little Mod culture your wardrobe.